manufacture of custom products and is well-equipped to meet all customer specifications. A25, A, B, X42, X46, X52, X56, X60, X65, X70, etc. smooth surface quality, precise dimensional accuracy and standardized mechanical properties. SA822, SA787, SA513, SA519, SA5I2, SA554, SA511, etc. We utilize the most advanced production and testing methods. 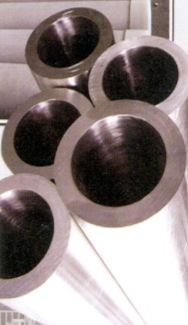 All tubing and pipe is manufactured and certified to meet the international quality standards specified by our customers such as API, ASTM, ASME, DIN, JIS, etc. 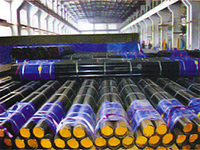 • Cold Drawing, Hot/Cold Rolling, Heat Treatment, Welding, In-line Testing, etc. and exact specifications. ABT’s Sales and Engineering Staff are eager to assist you with your next project. Please give us a call at 412-826-8002 or email us at sales@abt-mfg.com for more information.